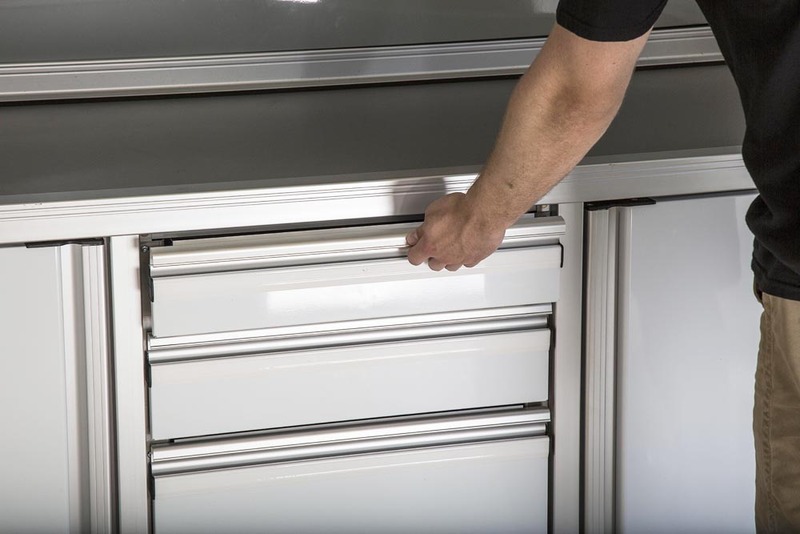 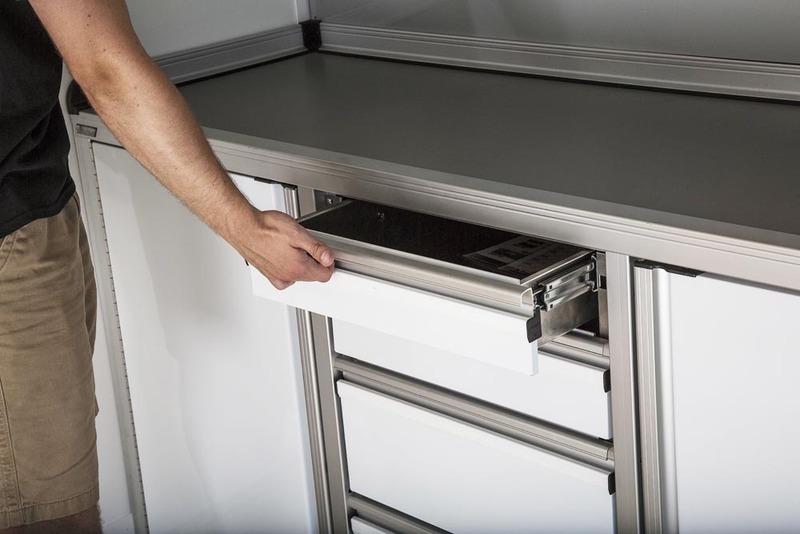 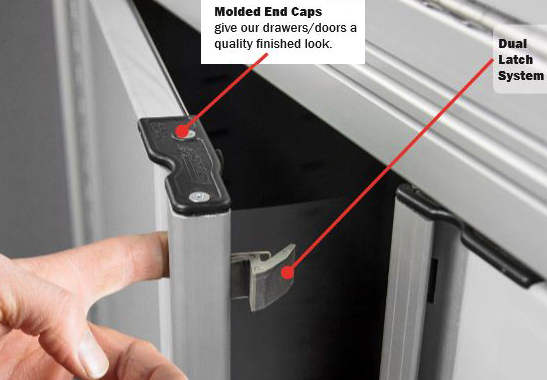 These aluminum garage cabinets are made for the budget conscious car guy who wants the durability of aluminum garage cabinets with a lower price. 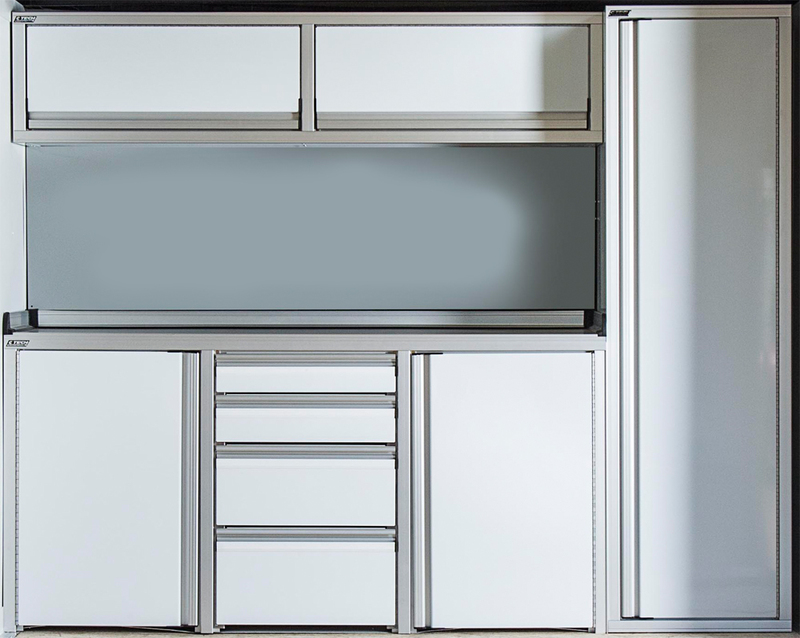 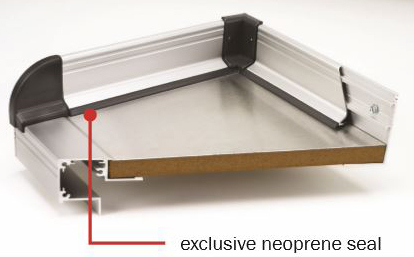 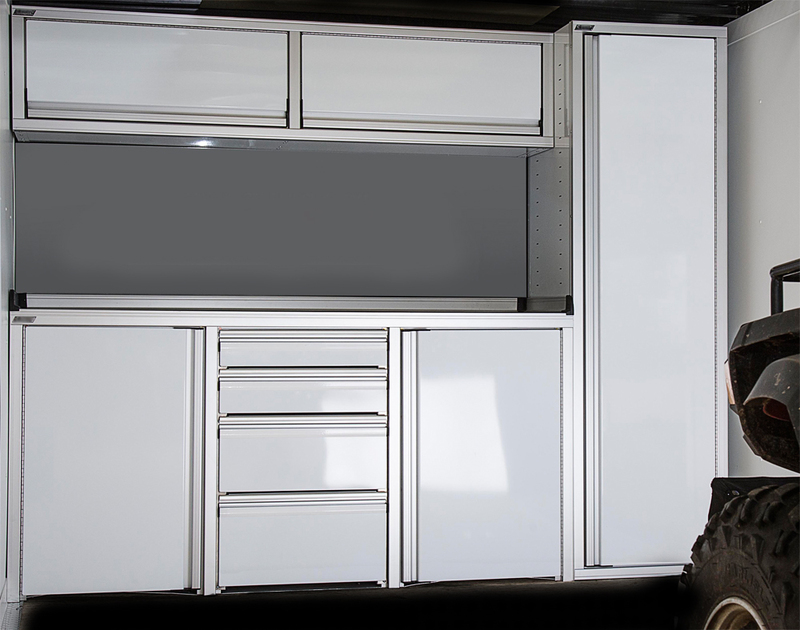 These aluminum cabinets are made in the USA with 0.05" aluminum powder coated in white. 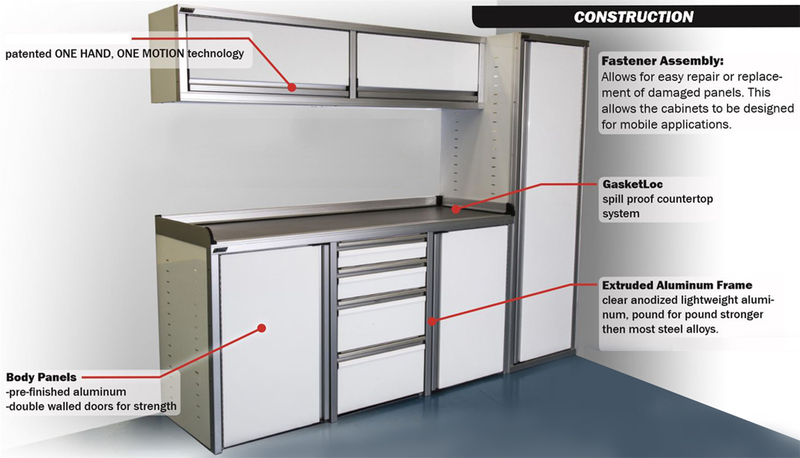 Because these cabinets are aluminum, they will not rust or rot making them a great option for your garage.